[LttW, Jakarta] Indonesia, and the people of Nanggroe Aceh Darussalam province, commonly called Aceh, has mourned since the recent death of Syekh Lah Geunta, one of its greatest Seudati masters, last Saturday, June 20, 2015. He died after months of complications at the age of 69. He is survived by his wife Safiah bin Puteh and six adult children. 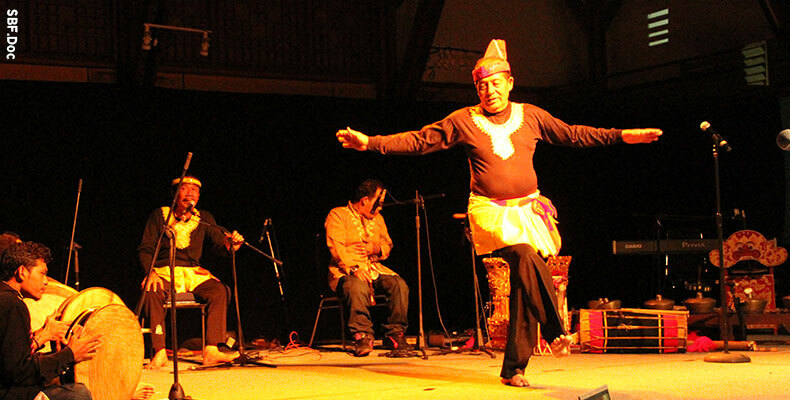 Seudati itself is a traditional Acehnese dance-singing form using body percussion as the musical instrument. Although many of the elements are also found in traditional Mediterranean, Middle-eastern and Central-asian performing arts, Seudati (as a performing art form) is arguably an authentic “creation” of the Acehnese. Syekh Lah Geunta’s sincere love and passion for Seudati had been delivered in many forms, ranging from performing, teaching, organising festivals, collaborating to kept learning. He also travelled the World over promoting the Acehnese arts. Syekh La Geunta was the recipient of the Bessies Award New York Dance And Performance in 1991, and the Appreciation Award from Seville, Spain in 1992. He was also one of the key figures in a cultural healing initiative called Rising Above the Tsunami, implemented by UNESCO Jakarta Office and Sacred Bridge Foundation in 2005 and 2006. Syekh Lah Geunta was a humble guru indeed; he will be missed and remembered for his persistence in cultivating Acehnese cultural heritage.